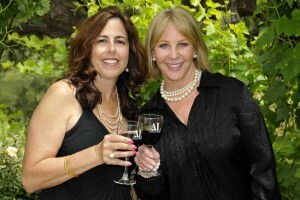 Assistance League will celebrate their autumn fundraising event, Sunset in the Vineyard, Sunday, November 4th, from 2:00 – 5:00 pm at the home and Compa Vineyard of Jeannie, Chris and Tim Carpenter. This occasion will be one to remember with samplings of a variety of wines, beers and cheeses from the following Santa Clarita private vineyards and wine makers: Alonso Family Vineyards, Juan Alonso; Bouquet Vineyard, Danny Mascari; Stephen Hemmert Vineyards, Steve Hemmert; COMPA Vineyard, Chris Carpenter & Tim Carpenter; Pulchella Winery, Steve Lemley & Nate Hasper; De Robertis Family Artisan Cheeses, Corry & Carol De Robertis; Bobcat, Tomas & Jenny Lukas; Les Deux Chats Cellars, Patty & Chris Connolly; Campuano Winery, Jeff & Ed Campuano; Whistling Vineyard, Roman Weiser; Two Hearts Vineyard, Kerry & Susie Clark; Six Foaks Cellars, Rick & Teresa Pratt, Jackie & Doug Curran, Mike & Cammy Moreale; Golden Star Vineyards, Lee & Helen Williams; Nuggucciet Cellars, Russ & Nancy Briley; and VNTBC, Michael Mitchell – Brewmeister. Music will be donated by Blue Sky Lite. Chairwomen Leila Rosenberger and Jeannie Carpenter promise an unforgettable afternoon including informal presentations by the winemakers, a delicious assortment of appetizers and desserts, and amazing raffle and silent auction items, including a cruise donated by Princess Cruises Foundation. With your generous support, our volunteer members will be able to continue providing much needed programs throughout the Santa Clarita Valley. nonprofit, nonpolitical, nonsectarian and IRS 501(c)(3) service organization. Funds raised from Sunset in the Vineyard benefit Assistance League programs exclusively in the Santa Clarita Valley. Our signature program, “Operation School Bell®” supplies new clothing and shoes, to school children in need. We are currently holding our shopping event for these students, who are referred by school district personnel. We assisted more than 1,800 children last year and have expanded the program to the Junior High level. Join us in increasing our philanthropic efforts by supporting Sunset in the Vineyard. Help us make a difference in our community by donating an item for our auction and attending this memorable experience. Tickets are $65 in advance and $75 at the door. For more information, contact Jeannie Carpenter at 661.255.5853 or e-mail ALsantaclarita@gmail.com. Information about Assistance League membership, philanthropic programs and community involvement can be found on their website www.assistanceleague-alsc.org. Sounds like a great event. I would like to know more about it. Please call me at your convenience. I can be reached at 818-807-4739. Thanks. I will forward your e-mail to Jeannie Carpenter right now Robert. It is a great event!